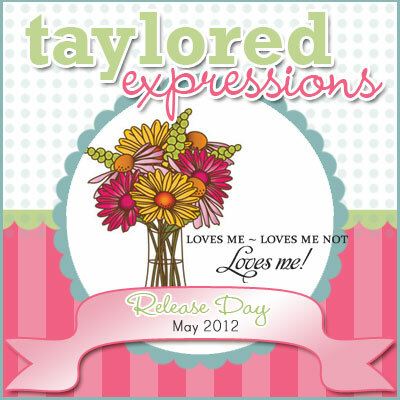 HandKrafted by Stephanie: Taylored Expressions May Release Day! Hello and Happy Thursday! It's also TE Release Day! I started by stamping Moka Tim, then I colored him with Copic markers and paper pieced his shirt. After I fussy cut him, I popped him on top of the Frame It Up 1 die cut and sponged the edges with some Antique Linen Distress ink. 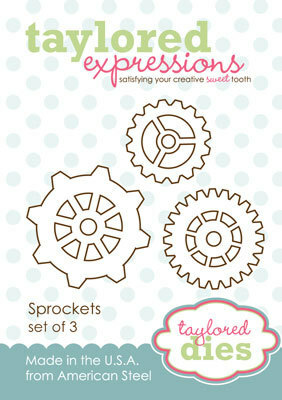 I also added a sprocket die cut (using the new Sprockets Die - set of 3) and added the sentiment, Mr. Fix-It, using one of my favorite Taylored Dies, Fly Your Flag 2. 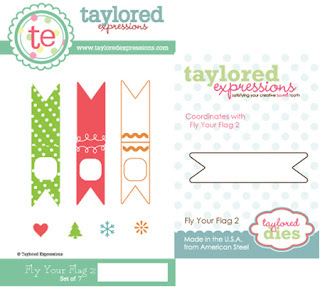 My patterned paper is from the Echo Park This & That Charming collection. Accessories: Sprockets Die, Frame It Up 1 Die, Fly Your Flag 2 Die (Taylored Expressions); Markers (Copic), Twine (May Arts), Silver pearl, Foam tape, Thread, Sewing machine. AWE your card came out Amazing!!! love your paper piecing on him too!! 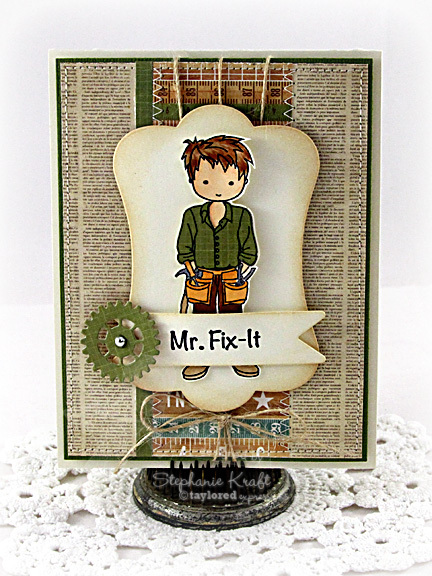 Love love love what you did with Tim...the newsprint background, the paper-pieced shirt...everything....love him! And yes, indeed, I do remember Tim the Tool Man! Stunning card, Stephanie. Love all of the designer papers. TFS.